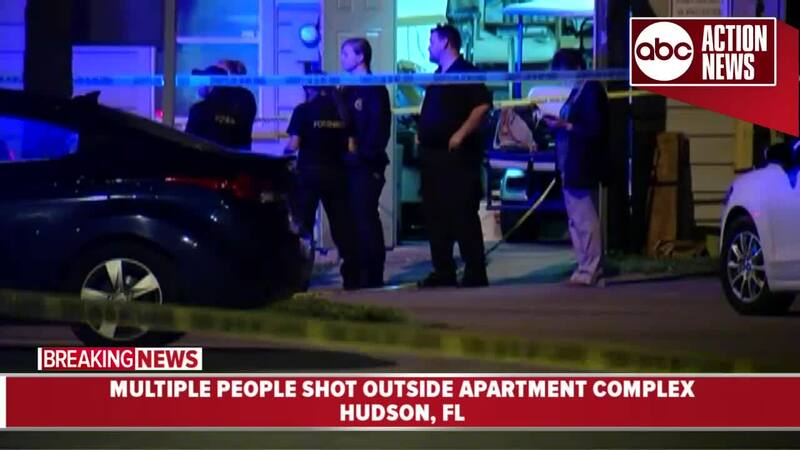 HUDSON, Fla. — Pasco County deputies are investigating after multiple people were shot, one fatally, in what investigators describe as a violent drug deal. Around 8:00 p.m. Wednesday, deputies responded to the shooting in the parking lot of Ridgestone Apartments, located on Little Road in Hudson. 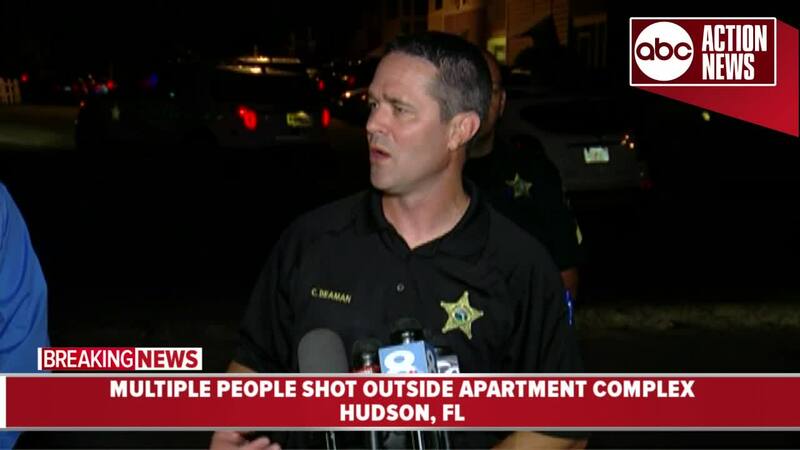 According to the Pasco County Sheriff's Office, at least three people were shot, one of which has died and two others are in critical condition. 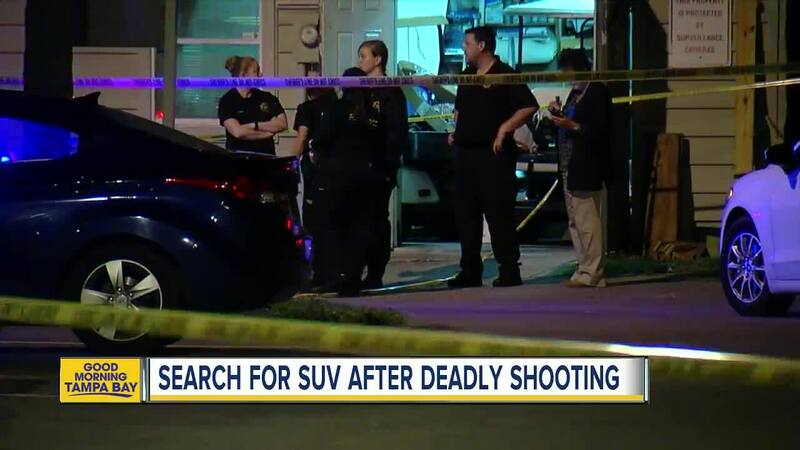 ABC Action News spoke to one father who ran outside to help one of the people shot. “I was terrified," said neighbor Sarah Freerksen. "I knew immediately that the sounds were gunshots and I heard ricochet, like bullets hitting metal. I took my daughter and I ran into the kitchen." Deputies say that they believe a fourth person was shot, but they have not been able to locate him to confirm. Deputies say he is described as an African-American male who was last seen wearing dark-colored clothing. PCSO believes that he may have been picked up by someone that he was with in one of the vehicles involved in the altercation. “We’re extremely fortunate that somebody, not involved in the drug deal, were fortunate that they weren’t injured at this point,” said Chris Beaman with the Pasco Sheriff's Office. PCSO is asking for residents to be on the lookout for a red Mitsubishi Montero with chrome roof racks. Deputies are asking anyone where that vehicle is, or who it belongs to, contact 911. Authorities are concerned people in the vehicles may have been injured. Deputies say that a Nissan Altima involved in the altercation crashed into one of the buildings at the apartment complex. Deputies say they believe this is an isolated incident contained to those involved.